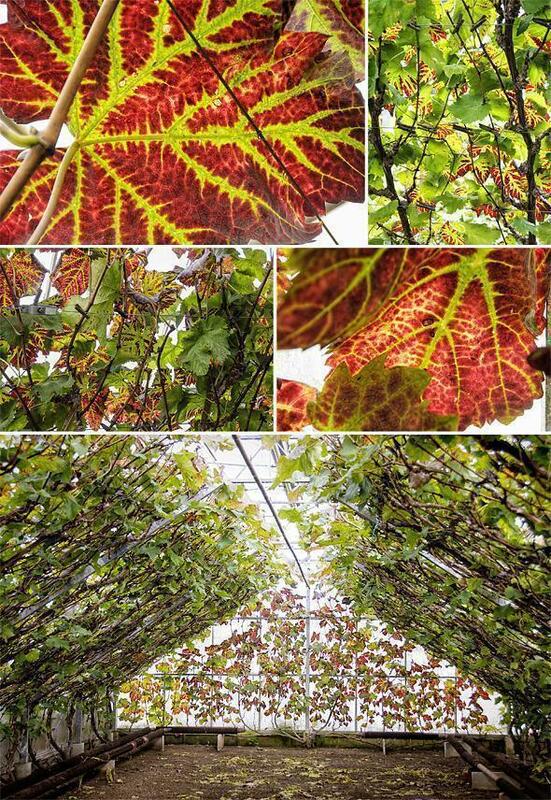 Each autumn, you can find Europe’s best table grapes in Hoeilaart, Belgium, known as the Glass Village, for the greenhouses that once filled the town. It’s no secret, we are fans of the grape. But, if we’re being honest, we mostly enjoy grapes in their liquid form. We’ve visited many vineyards over the years, in France, Spain, Germany, Croatia, and recently, we stayed on a vineyard in Northern Italy. We’ve even visited a grape-grower right here in Belgium – but all of those grapes are grown to make wine. 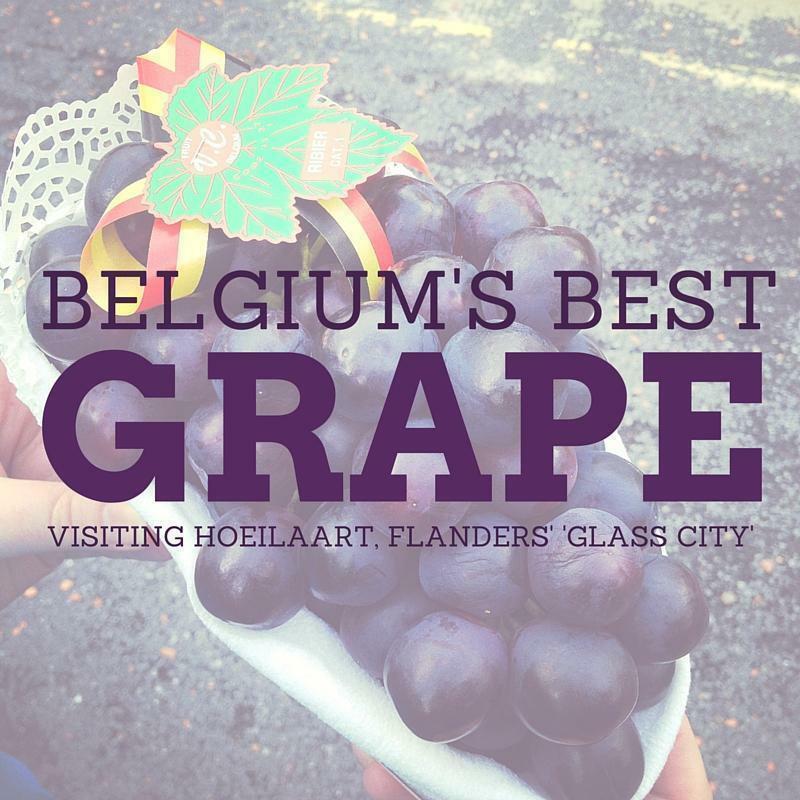 While staying at B&B Hippo-Droom, just outside of Brussels, we visited a different kind of grape-grower and learned why this region of Flanders was once central to grape production in Europe. We also learned why Hoeilaart is home to the best and most expensive table grapes, on the continent. Our first stop was Druiventeelt Van Camp, where we met grape-grower, Erik Van Camp, who is passionate about Belgian grapes. 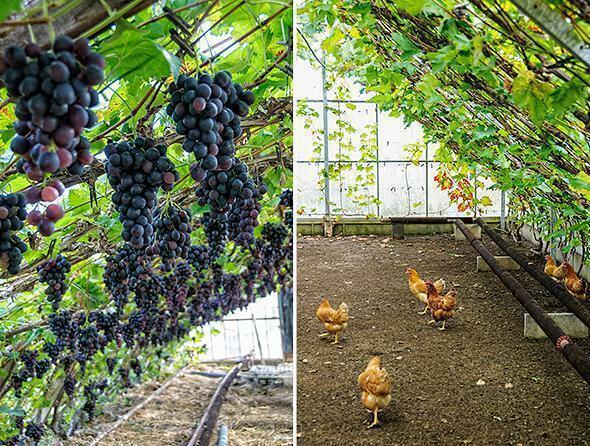 Erik’s farm consists of a handful of greenhouses brimming with grapevines. His are some of the last greenhouses here in Hoeilaart, a town once known as the Glazen Dorp or ‘Glass Village.’ It’s difficult to imagine there were once more than 13,000 greenhouses sprawled across the landscape. Greenhouses , like this one, once dominated the landscape of Hoeilaart. And while Hoeilaart was home to the first ‘grapes under glass’ in 1865, the towns of Overijse, Huldenberg, Duisburg and La Hulpe, soon followed suit, creating a city of glass numbering more than 33,000 buildings. 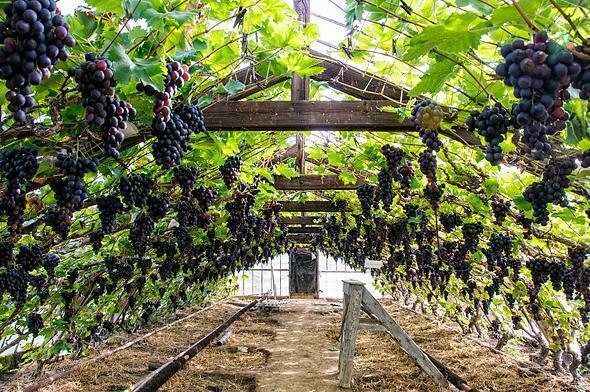 Since the 1960s, table grape production has been disappearing in Flanders. High heating costs and cheap competition from other parts of Europe have forced most Belgians out of the grape growing game. But not Erik Van Camp. Erik didn’t come from a grape-growing family. In fact, he grew up on a tomato farm and later worked for a banana grower. When he purchased his farm in 1997, he strived to learn as much as he could from the retired grape growers in the region. 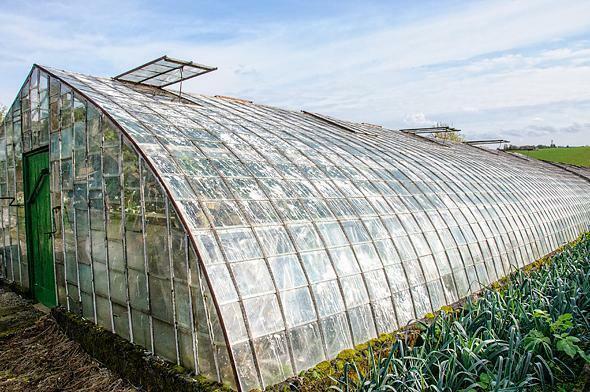 While his glasshouses are more modern, his organic process is much the same as it has always been here. As we entered the main building, we immediately heard clucking in the distance. As we stood and chatted, a small flock of golden chickens strolled past. These lovely ladies spend their winters ‘at the spa’ inside the warm greenhouses. 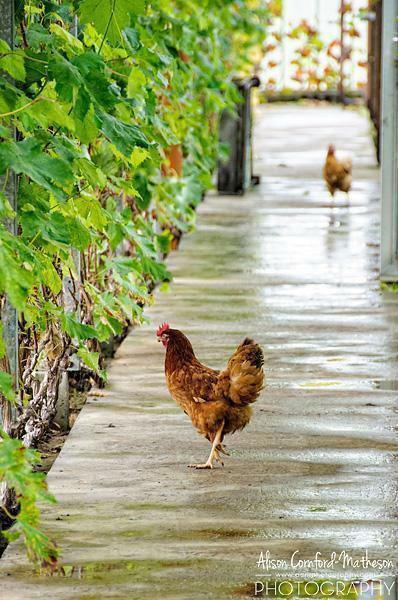 They dine happily on bugs and grubs, while fertilising the soil and providing nutrients to the grapevines. Erik explains how he lets nature take its course, as much as possible, inside his greenhouses. The Brabantse Tafeldruif (table grapes from Brabant) has its own Protected Designation of Origin, a BOB (Beschermde Oorsprongsbenaming), in Flemish. Erik grows several varieties of Brabant grape: Ribier, Muscat d’Alexandrie, Baidor, and, the most coveted, Leopold III. As we’ve visited at the very end of the season, Erik’s grapes were already harvested. His contract with Del Haize means his grapes appear in supermarkets around the country. However, some of his best grapes sell straight from the farm shop and folks come from all over Belgium to get their hands on them. 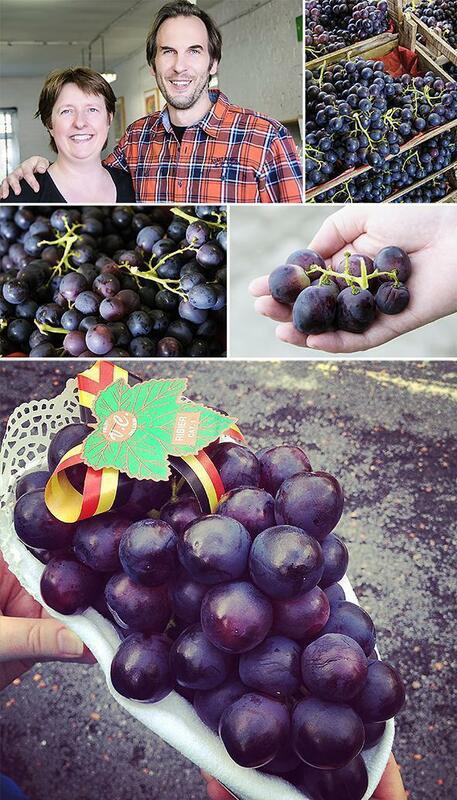 The Leopold III grapes are the most sought after and can fetch 18 Euros or more a kilo. Although Erik’s grapevines were stunning in their fall colours, I was disappointed to have missed seeing the vines dripping with grapes. Luckily, Erik knew one small, local farm that still had some grapes. We piled into his car and made our way to an old greenhouse not visible from the street. As we stepped inside, it looked exactly like the sepia photographs decorating B&B Hippo-Droom. 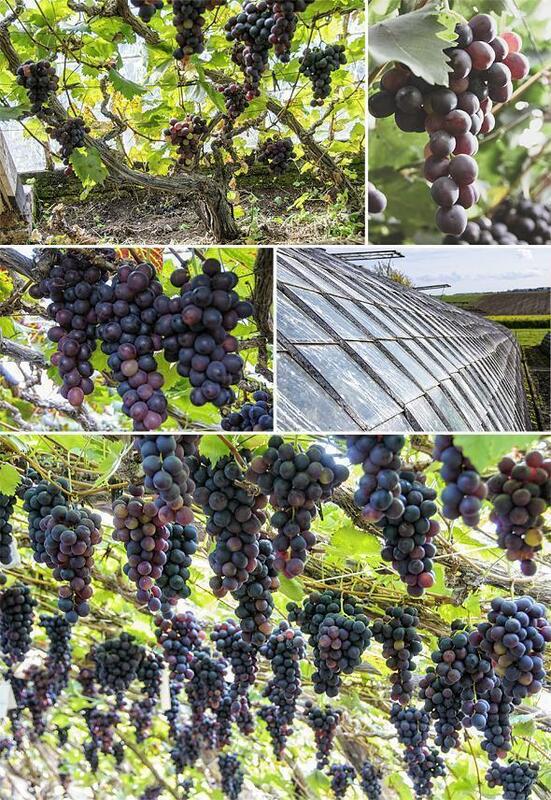 Lush bunches of deep blue grapes dangled from ancient, gnarled vines, clinging to the glass walls of the greenhouse. Magical. Returning to Erik’s farm, we had one last mission, to taste-test these beautiful grapes we had heard so much about. The verdict – The Brabantse Tafeldruiven deserve their reputation. The huge blue grapes exploded with juice and flavour when we popped them into our mouths. These are so far removed from the bland grapes we buy year-round from Southern Europe. 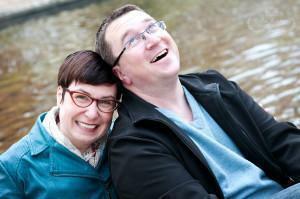 Erik and his wife, Marie-Anne, grow Belgium’s best grapes in Hoeilaart. The peak time to get your hands on some Leopold III grapes is between September and October. While you can find them at a number of Belgian supermarkets, we highly recommend a trip to the source. Druiventeelt Van Camp’s farm shop is open to the public from early August until November. Tours are welcome but, for more than 10 people, contact Erik in advance. We’ll end by sharing a short video trailer of a film about the glass houses of the area. Thanks to Aria P. from our wonderful CheeseWeb community for sharing this with us! Trailer: Greenhouse Effects – Video Link.